Happy Valentine's Day everyone! I hope you receive a card...or postcard...or two and some yummy chocolate! Today, is also the hubs birthday, so we celebrate extra big! 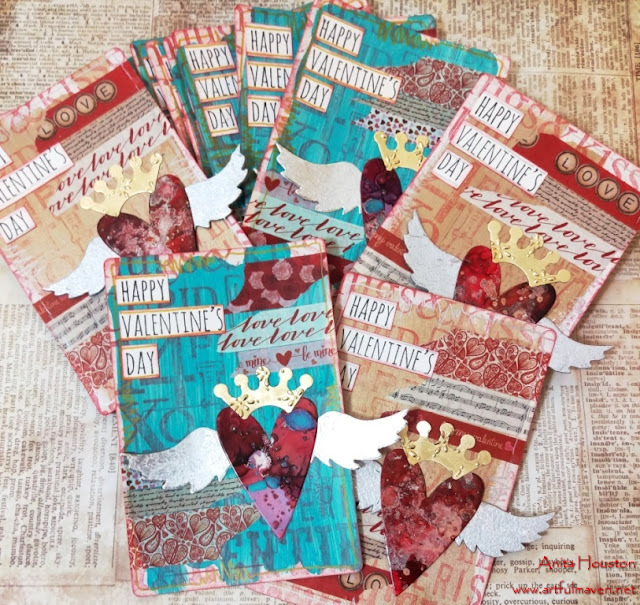 I have some postcards to share with you today that I sent out to my special peeps and students that took my Valentine class last weekend. Enjoy the day and night! I made two different versions...gold and turquoise. I painted the postcards backgrounds with Tim Holtz Distress Paint from Ranger and then stamped over it with Wendy's Red Geranium and Valentine Silhouettes from Tim and Stamper's Anonymous, and added lots of tissue and washi tape from my stash. 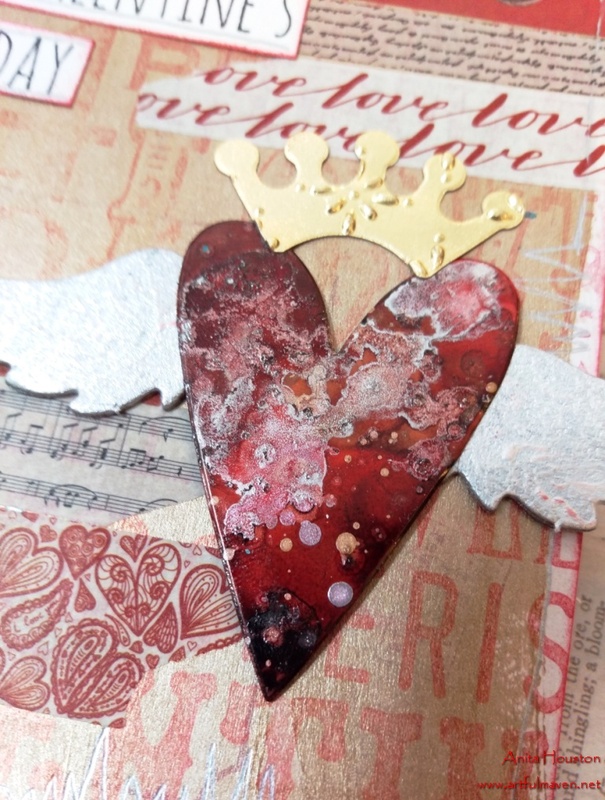 I die cut the hearts, wings, and crown, and embossed the crowns with Tim Sizzix goodies. 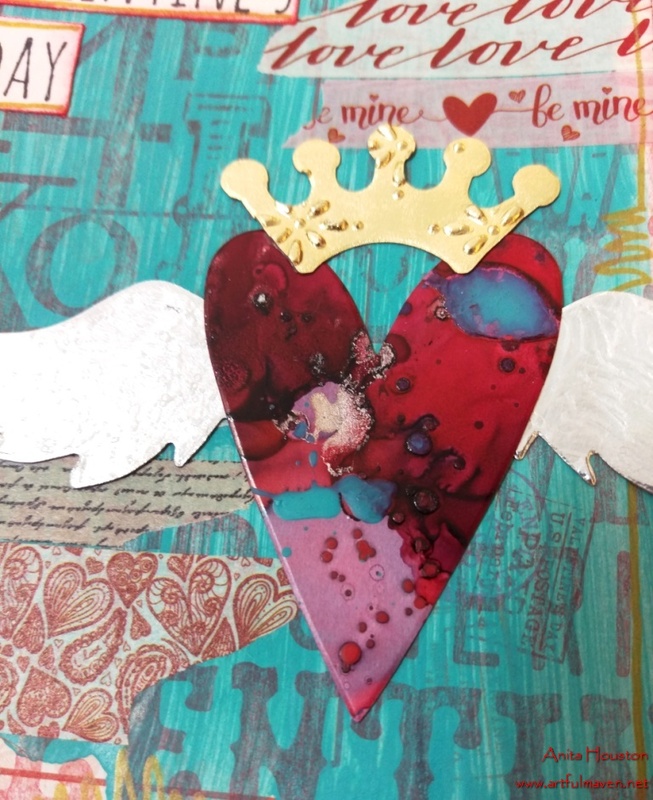 I painted the wings with Pearl Metallic Paint Dabber, and splashed lots of Alcohol Inks and Distress Spray Stains over the hearts. I wish you all so much love today, and I truly treasure all of you out there who support me! Blessings everyone! Very pretty! Happy Valentine's Day to you. Had a TERRIFIC time, in your awesome class, today! Fabulous! The edges look stitched, very cool collage. Have a wonderful, fun day! These are totally cool. I love the washi tape and all the other elements you used. I had to PIN these. Wow, you've been busy in the last few days! I've just been scrolling through all the Valentine projects I've missed here... all fabulous, including these wonderful painty collages! 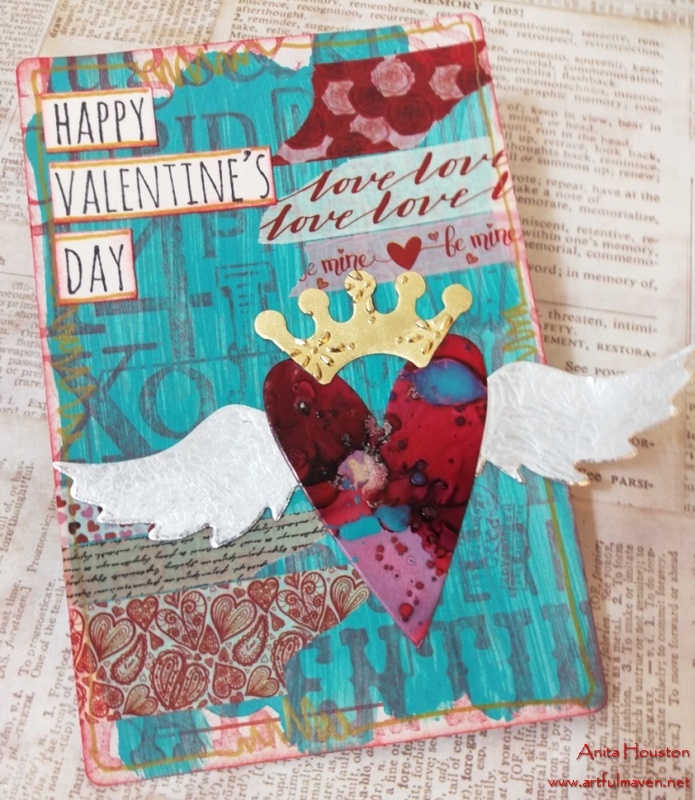 Anita, just loving the palette and your layers! What beautiful collaged pieces~really love how they came together! 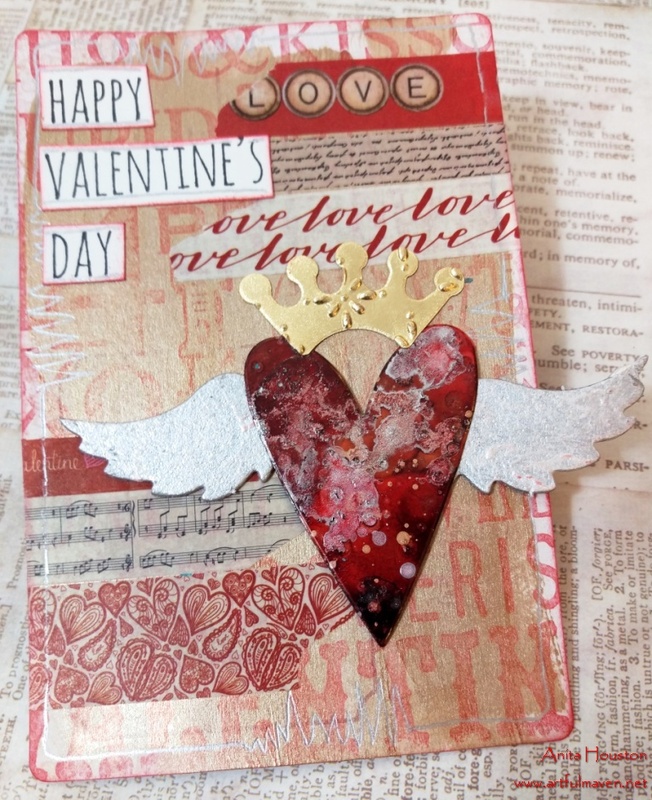 Love the look you created on your amazing Valentine's Day cards! Thanks for the great ideas! I love your style! These Valentine cards are absolutely amazing!